Hebei North University’s College of Liberal Arts, formerly known as Zhangjiakou Normal College and it is one of the oldest departments in our school. In history of the development of our university, famous historians Ji Peirong, Li Taifeng and Guo Zhanyu all taught in our university.The former chief of the People’s Congress Xu Jialu and other famous scholars like Fei Zhengang, Wang Furen, Wang Zhijing, Meng Shaoyi visited our university to give lectures. Famous director Guo Baochang visited our university to give lectures and had discussions between teachers and students, for the development of the college of liberal arts with deep accumulation of rich culture. The college of liberal arts has many faculties such as department of Chinese language and literature, department of film and television, department of secretary, international Chinese education with language teaching and research section, department of drama, film and television literature. At present, there are 43 teachers, 16 of them with senior titles, 3 of them with doctorate and 38 of them with a master’s degree. In recent years, the teaching staff and the scientific research level has enhanced unceasingly. They have published more than 300 papers in famous newspapers such as Guangming daily, the Theory and the Literature review. They participated in writing more than 30 famous books and teaching materials. They also undertook in many teaching and scientific research topics of all types and at all levels. In addition, “Chinese teaching design of middle school” is a book made up of great recourses and shared around the province. There are some great courses offered in here, for example, ancient Chinese literature, ancient Chinese, modern and contemporary literature, Chinese language teaching in middle school, introduction to linguistics, foreign literature and so on. The academy has established relatively perfect talent training scheme and emphasizes on quality education, personality and skills training. On the cultivation of the students with great importance to the basic theory and practice, we adhere to the strict student management quality policy, organizing students to carry out the practice of professing activities and extracurricular activities. 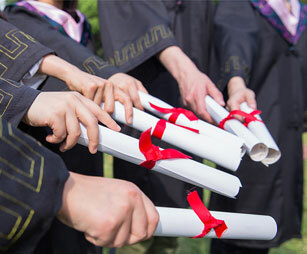 Students of liberal arts have grown to enter the job market from educating of primary and secondary schools to expanding to organizations, institutions, state-owned enterprises, foreign-funded enterprises and others. Graduate student earning rate is increased year by year, quite a few students attended Beijing University, Beijing Normal University, Nankai University, Sichuan University, Jilin University, Nanjing Normal University, Shaanxi Normal University and other colleges and universities for further studies. For many years, the college of liberal arts has trained a large number of useful talents, some of which have been at the positions of provincial or municipal department leadership.